Did you know? The earliest 'dentists' were, in fact, the barber-surgeons, whose expertise with cutting tools made them the most qualified professionals to perform extractions and other basic procedures. Wisdom teeth are the last set of teeth that appear in your mouth. These generally grow in our late teens or early twenties. Due to lack of sufficient space in your jaw bone, these teeth create lots of issues, which range from mild to severe. Hence the suitable option is to undergo wisdom teeth removal. 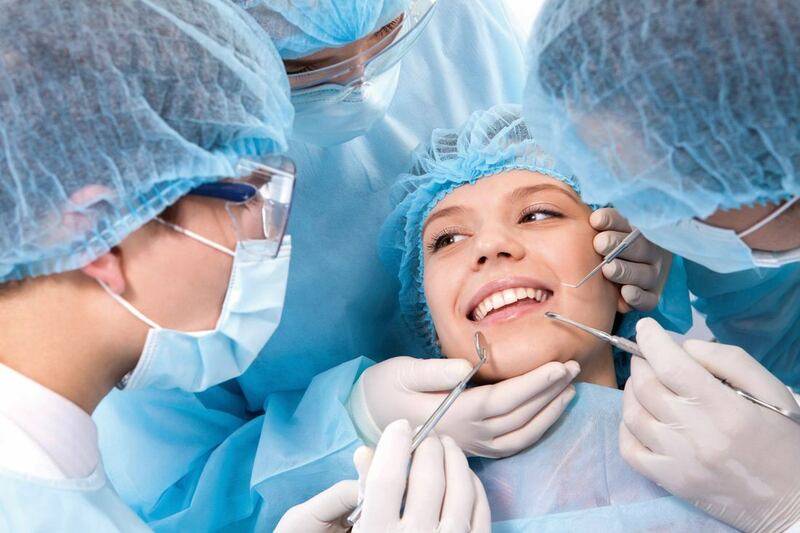 The wisdom teeth removal cost is affordable due to the advancement in the field of dentistry. The most important thing after the wisdom teeth removal is post-operative care. The healing rate of the extracted site depends on post-operative care. If you ignore the aftercare of the procedure, you will suffer from grave complexities, and some of the problems would be incurable. This blog explains in details about dry socket and its home remedies, which arise due to the lack of proper post-operative care. Dry socket is a dental condition that occurs after teeth extraction and more commonly in wisdom teeth extraction. The blood clot at the area of extraction dislodges before the wound has fully healed. People who smoke, have poor oral hygiene, experience an unusually complicated extraction, have blood thinning medications or oral contraceptives, and those who have a history of tooth or gum infections in the past are more prone to dry socket. As the wisdom teeth removal cost is within the budget most people, who have wisdom teeth pain undergo the extraction procedure, which sometimes leads to dry socket. Dissolve salt in warm water and swish this around in your mouth for a minute, or flush out the dry socket with a syringe that your surgeon gives you. Repeat this process at least three times per day after meals. For the first 24 hours after your tooth extraction, use cold packs against your face to reduce swelling. Then apply the heat pack to manage pain. Heat helps to soothe pain caused by dry socket while cold numbs your nerves. Clove oil contains eugenol, which acts as anaesthetic, anti-inflammatory, and antibacterial. Add clove oil to sterile gauze and apply directly to the affected area. Keep the gauze for 20 minutes. ​Honey has anti-inflammatory and analgesic properties. It significantly reduces the dry socket’s inflammation, edema, pain, and discomfort. Take raw honey on sterile gauze and place it directly on the affected area. Change the gauze every few hours. So don’t live with pain. Pay keen attention to your dentist’s instruction and be safe from dry socket problems. Also the cheap wisdom teeth removal Sydney is a common procedure these days, and the cost of wisdom teeth removal is affordable, hence don’t compromise with the discomfort. Did you know? About thirty-five percent of the world population is born without wisdom teeth. Ancient humans had a big jaw that could accommodate the wisdom teeth. Since they had Vitamin K rich foods, they developed large jaw, while modern humans don’t have enough space in their jaw due to lack of Vitamin K in their diet. Also, studies show that they no longer need these wisdom teeth for survival. Wisdom teeth in modern man create various issues while growing due to lack of space in their jaw. Sometimes the complexities due to wisdom teeth can be even fatal. Hence the dentist recommends wisdom teeth removal. This blog explains in detail the hearing loss due to the impacted wisdom teeth. Wisdom teeth are the last four molars to grow in adults in the back part of their upper and lower jaws. They generally grow in your late teens or early twenties and often create alignment problems, infection, and potentially other painful and dangerous issues during its eruption or impacted phase. When the wisdom teeth start budding through the gum, they develop pain, and it can be bothersome. Sometimes these wisdom teeth grow straight, and you may not experience much discomfort. But if the wisdom teeth grow in a crooked manner, it will result in overcrowding or shifting of the other teeth, giving rise to oral problems. In most of the cases, you have to undergo wisdom teeth removal to prevent any damages to your mouth, jaw or other teeth. Impacted wisdom teeth are the most common issue associated with the wisdom teeth. In impacted wisdom teeth, the teeth partially come out or do not grow in the right direction, resulting in misalignment of other teeth. These issues trap food particles and allow bacteria to grow. Also, the pressure of the new teeth in your mouth leads to hairline fractures and cavities in the adjacent teeth, eventually leading to rot and develop an infection. The bacteria from your mouth enter into your blood stream and infect your arteries and blood vessels, thus leading to hearing loss. Also the hair cells in the ear those are vital for hearing and blood circulation in your ear, dies due to infection. These hair cells can never to be replaced. Also, TMJ disorder, one of the complexities of impacted wisdom teeth also leads to hearing loss. The nerve pain signals are picked up by the inner ear nerve pathway, and your ear reacts to the pain by contracting the muscles. If the ear contracts muscles too often, the inner ear may misalign, giving rise to hearing loss. Thus these days wisdom teeth removal cost Sydney are affordable so don’t risk your hearing ability by postponing your wisdom teeth pain. A study discloses that around 40 out of 2218 people experienced dry socket with various intensities after the teeth extraction procedure. As the wisdom teeth removal cost is affordable people don’t hesitate to undergo this procedure. But once you undergo this teeth extraction, you have to follow your doctor’s instruction. During this recovery period some might encounter a problem known as “Dry Socket”. Let’s see about this dry socket in detail. Dry socket is a condition in which the blood clot that act as a foundation for the new bone growth after the teeth extraction, gets dislodged or removed, exposing the underlying nerves and bones leading to severe pain and inflammation. Dry socket’s intensity varies with the type of teeth extraction underwent. The cost of wisdom teeth removal is cheap, but this dry socket symptom makes you pay more. How to Identify Dry Socket? What Are The Causes For The Dry Socket? Infections those were present before the teeth extraction preventing the blood clot formation. The nicotine found in the cigarette, lowers the blood flow in the mouth of the smokers, leading to dry socket. Rinsing your mouth aggressively, sucking using straws, forceful spitting leads to dry socket. Physiological factors like dense jaw bone, poor blood flow, hormones, etc. forms the dry socket. Your dentist will clean your socket and ensures that there are no food particles or any foreign agents. This alleviates your pain and inflammation to some extent thus prevents the further invasion of the bacteria. Your dentist will place gauze with a medicated gel that provides the soothing effect. Follow the instructions of your dentist. At home, after removing your dressing, do rinse your mouth with the mouth wash or with salt water as recommended by your dentist. Also perform the socket cleaning at regular intervals as instructed by your dentist based on the intensity of your dry socket. In order to relive from pain and inflammation your dentist would prescribe anti-inflammatory medicines and pain killers. An ice pack will be a good home remedy for your pain relief and inflammation. Have regular follow-ups for faster relief. After starting the treatment for your dry socket ,the symptoms for dry socket should subside within few day, if the symptoms persists rush to your dentist. Thus sometimes the cheap wisdom teeth removal Sydney may lead to dry socket which could be cured when treated on time. Do you know that only a small percentage of lucky people are born with at least one wisdom teeth missing and some don’t have wisdom teeth at all. If you are not one among them, don’t worry, go for the wisdom teeth removal. After your wisdom teeth extraction make sure you get the right nutrition. Here comes the list of nutritious foods varieties that you could relish till you recovery. Why to Follow the Food Diet for the Wisdom Teeth Extraction? A proper nutrition helps for the faster healing and reduces the risks of complication and swelling. The foods that you consume after the wisdom teeth removal should be soft and lessen the work of your teeth, as there is a possibility of bleeding. Make sure the soft foods that you consume are highly nutritious and aids for the faster healing of your wound. Have the vegetable soups in the lukewarm temperature. Soups helps to keep you hydrated and provides you the nutrition that you need. Make sure that your soup is blended thoroughly and doesn’t have any vegetable chunks. Broths are similar to the soups that are filled with minerals and vitamins. They keep you hydrated and an alternate choice to water. Make sure you take the broth in lukewarm or cold. Greek yogurt is rich in protein and calcium with a little amount of zinc. Proteins are considered as the body builders that increases the healing rate of your wound. Being smooth and creamy in texture, yogurt creates a soothing effect. Mashed potatoes have high caloric content and rich in nutrients. After the surgery your body requires extra calories, which is satisfied by the mashed potatoes. Mashed potatoes with some sort of gravy make an easier consumption. Eggs are a rich source of vitamins and minerals. Buy the eggs that are pasteurised and rich in omega 3 fatty acids, which aids for the faster healing of your wound. Scrambled eggs are easy for consumption than the fried or the hard boiled ones. Apple sauce which is smooth in texture and rich in vitamin C is essential for the faster healing rate. Bananas are rich in potassium, vitamin B6, manganese and folate. Their soft texture allows you to swallow easily. Avocados are low carb fruits but rich in HDL, vitamin K, vitamin C and potassium. They are creamy in texture and easy for consumption. Cottage cheese is packed with proteins that aid faster wound healing. Salmon is rich in protein and omega fatty acids reduce the inflammation, which in turn aids for a faster wound healing. Generally Wisdom teeth removal cost Sydney is affordable, once you undergo this procedure, do get a proper nutrition for a faster rate of healing by including the above listed foods your diet. Wisdom Teeth Removal the common Questions! Are you looking for answers to the questions you have about wisdom teeth removal? Then you are on the right page, here we have listed some common questions and their answers which you may find helpful. ‘Wisdom teeth’ and ‘wisdom teeth removal’ are the common terms we come across once we reach our teens. While most of us still have doubts with what are those teeth? And why are they developing? Wisdom teeth are nothing but your third molars. They come in during your teenage, and in most of the cases, they cause severe pain and discomfort. These are nothing but like a vestigial organ which was once useful for our ancestors but is not needed for us. What are the reasons why Affordable Wisdom Teeth Removal Cost Sydney is suggested? When a tooth has no space after the second molars to emerge properly, they grow at different angles either above or below the jaw line. This condition is called impacted wisdom teeth. At what age should I have Affordable Cost Of Wisdom Teeth Removal Sydney? Wisdom teeth erupt between the ages of 18 to 25. Depending on how severe they have impacted, you will be suggested wisdom teeth removal. However, dentists recommend wisdom teeth removal at an early age where the tooth has not formed completely for easy removal and faster recovery. What are the symptoms Impacted Wisdom Teeth pose? Though these are some of the reported symptoms, it always varies from person to person. Only your dentist can check thoroughly and determine if your wisdom teeth have ruptured at an odd angle. Should all the Impacted Wisdom Teeth be removed? Just because your wisdom teeth grow in an odd angle, it doesn't mean it should be removed. 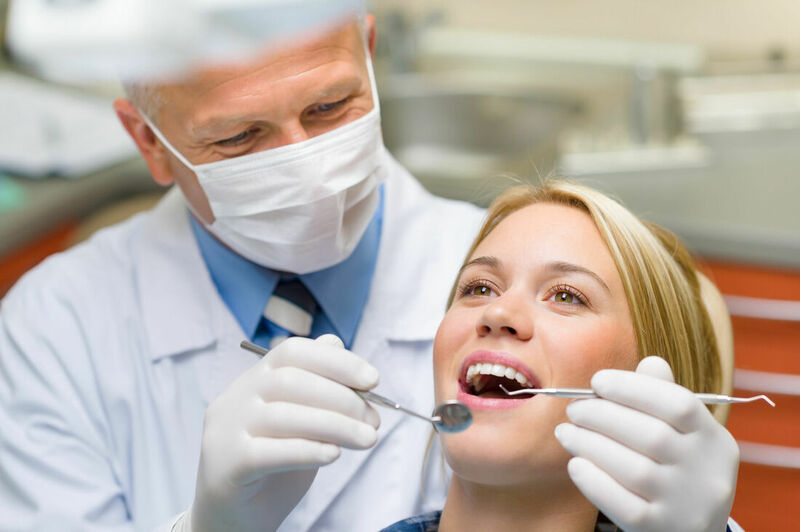 Your dentist will access the history of symptoms and also subsequent risks and complications it may bring in the future. Sometimes your dentist will also give some time for the wisdom teeth to see if they may possibly grow properly. Will I have problems if I don't get Wisdom Teeth Removal? If your dentist has advised that you need to undergo wisdom teeth removal, you may be at risk of complications. So it is always better to have them removed if your dentist suggests. How long will it take to recover after Affordable Wisdom Teeth Removal Cost Sydney? Each one of us is different. Our bodies have different time frames to recover completely. However, with proper care, rest, diet and by maintaining good oral hygiene you can recover son with no other complications. Your surgeon will also prescribe some medications which you should take as prescribed. Hope these questions and answers are useful for you! Wisdom teeth are nothing but an additional set of molars which emerge when a person reaches his adulthood. The first sign of the erupted wisdom teeth appears around late teens, but it emerges completely by early twenties. Your dentist will monitor these emerging teeth carefully to find any potential problems. When the wisdom teeth grow impacted, it causes many other oral-related problems. Let us discuss more on this issue so that you can understand it better. Wisdom teeth that do not come straight out of the jaw line like any other teeth are called impacted wisdom teeth. These teeth come at angles or twisted exerting pressure on the adjacent second molars. Despite causing a lot of pain, they also impose many health problems if not addressed on time. 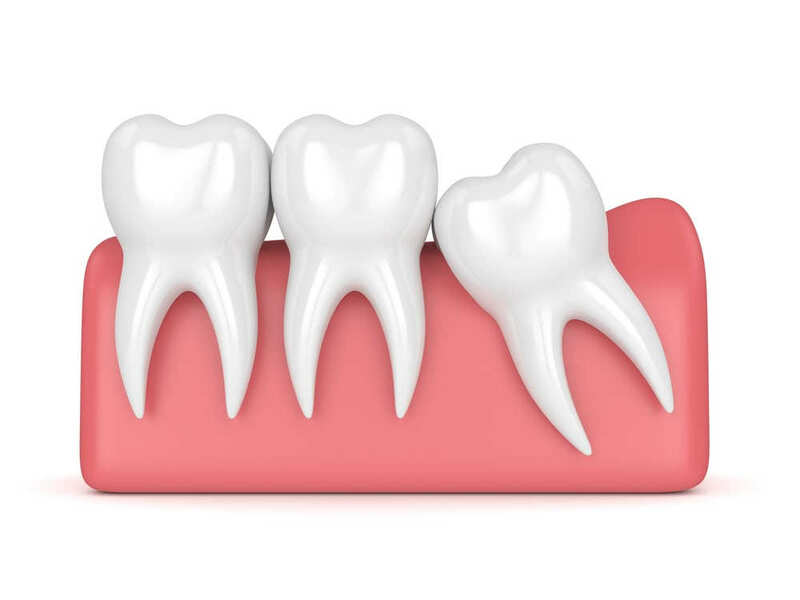 What are the Tooth Damages an Impacted Wisdom Tooth causes? The impacted wisdom teeth exert pressure on the adjacent teeth leading to cracks, toothaches and weaken tooth structures. This weakens teeth unlike other healthy ones, are susceptible to tooth fracture that can also damage your tooth root. If wisdom teeth removal Sydney is done at the correct age when your dentists suggest, these dangers would not be an issue for you. Will Wisdom Teeth affect my oral hygiene? 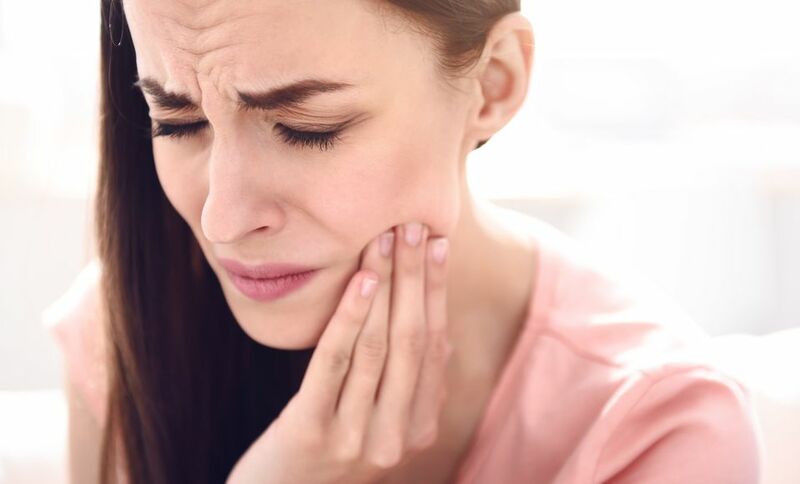 In addition to damaging your existing teeth, the impacted wisdom teeth if left unnoticed, can lead to difficulties with your normal oral hygiene practices. They can prevent your ability to brush and floss around the second molars which will increase your risk of gum disease and tooth decay. Some people have the ability to have their wisdom teeth grow straight in their mouth. But not everyone will have them grow straight, most of the wisdom teeth reported growing in an angle over the adjacent teeth. 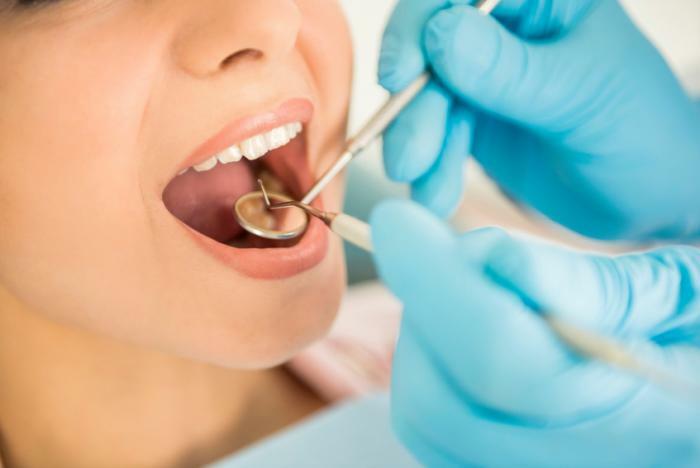 Your dentist will examine the condition of your wisdom teeth and suggest you affordable wisdom teeth removal cost Sydney to prevent any health problems that you are in risk at. Wisdom teeth extraction is done with the patient under local and general anaesthesia to prevent pain and discomfort. The oral surgeon will carefully remove some of the gum tissues from around the wisdom teeth area our. He will then pull the tooth along with its root. Once everything is removed, he will suture the gap made and leave the surgical wound to heal. What after Wisdom Tooth Extraction? In the first few days after cheap wisdom teeth removal Sydney, the patient may experience some discomfort in the surgical area. This is normal as minor discomfort is common after any surgery. This can be managed using the prescribed medications as directed. Patients will have to be in soft food or liquid diet for a few days to avoid bleeding. Avoid foods that are too hot, cold or spicy for some days. Also, the patient should keep his or her oral cavity clean by following the cleaning instructions carefully. Hope you have got a good idea on wisdom teeth removal Sydney and its aftercare! 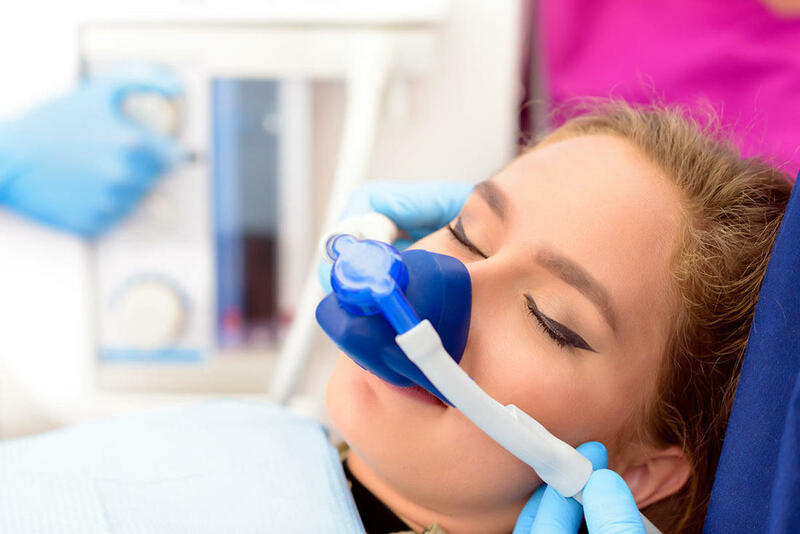 What are the Sedation Options for Wisdom Teeth Removal? Do your wisdom teeth trouble you? While not all wisdom teeth create problems, some may be problematic when it does not have adequate space in the jaw-line. When there is no space in the jaw-line to accommodate the third molars, impaction or infection are likely to occur. Wisdom teeth removal Sydney is a standard procedure and don’t worry you will be fine after the surgery. Do not imagine that wisdom teeth removal might hurt you by hearing the horror story from your friends, neighbours, and relatives. Wisdom teeth extraction doesn’t have to be a painful experience. Yes, with sedation dentistry it is possible. 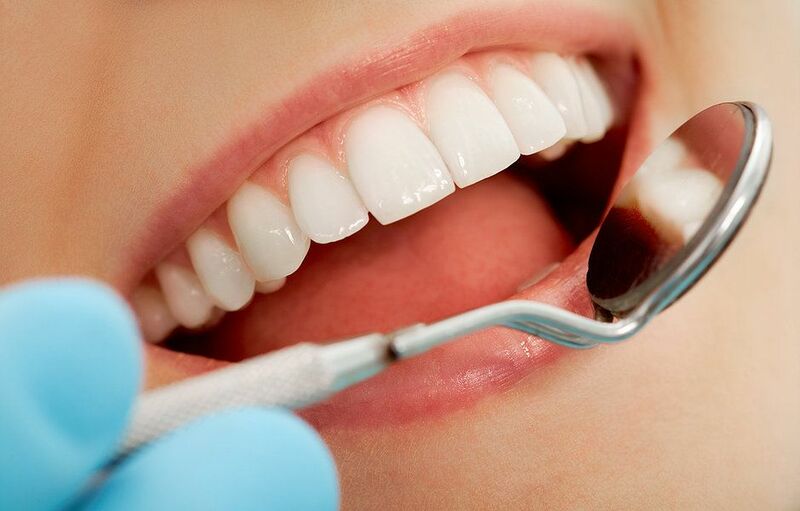 Sedation dentistry helps you receive the dental treatments without any pain. Speak with your dentist about sedation options during the next visit. With a combination of IV sedation and local or general anaesthesia, wisdom teeth removal is nothing to fear. Extracting a tooth that is fully visible in the mouth is a simple procedure. It involves numbing the surgical site with a local anaesthetic, and after a bit of work on the gum tissue, the tooth will be pulled out. However, this is not happening with wisdom teeth. A wisdom tooth is located in the back of the mouth. Since most of the wisdom teeth Sydney do not have space to emerge in completely they become impacted. In fact, nine out of ten people have at least one impacted wisdom teeth. Removing wisdom teeth Sydney requires the removal of bone and gum tissue, making the procedure more involved than that is positioned normally. So the dentists now remove the wisdom teeth by administering sedation. Local anaesthesia: It is injected into the treatment area to numb the tooth and gum. This type of sedation takes effect quickly, and the effects may last for a few hours after removing the wisdom teeth. IV sedation: The medicine is administered through intravenous in the crook of the arm or the back of the hand. A deeper level of relaxation can be achieved through this type of sedation. You will be awake, but you will be relaxed and calm. IV sedation can be adjusted throughout the treatment to ensure it provides maximum relaxation. General anaesthesia: It offers the deepest level of anaesthesia because it helps patients sleep through their treatment. You cannot recognise what had happened during the surgery. It is also administered intravenously and reserved for more complicated cases in the office setting. Depending upon the level of anxiety, your dentist or oral surgeon will suggest any one of these sedation options. The wisdom teeth removal cost Sydney depends on the type of sedation you receive. Speak with your dentist about sedation options and its cost before fixing the date for the procedure. So removed your wisdom teeth and looking for some tips to speed up the recovery process? Well, the best way to recover from wisdom teeth removal extraction is to follow your dentists’ instructions strictly. Failing to do so can result in a painful recovery, including a dry socket. If you have just undergone wisdom teeth removal, you may feel a bit discomfort right now. But, don’t worry, with plenty of rest and relaxation; you will be back on track. Do not avoid the procedure due to wisdom teeth removal cost Sydney because it may lead to several dental issues including pain, tooth decay, crowding, and oral cancer. Inflammation can happen when your body increases fluid and white blood cells to an injured area. Swelling accompanies inflammation. So don’t panic if your cheeks and surgical site are swelled, it is quite normal. To reduce swelling, apply an ice pack in 20 minutes interval, and then remove it for the same amount of time. Wrap the ice pack in a protective cloth to protect the sensitive tissues. The Wisdom teeth removal cost Sydney is affordable, and there will be bleeding following your wisdom teeth removal. Your dentist will instruct you to hold clean gauze on the surgical site for thirty minutes after your procedure. If you are bleeding more, bite the gauze firmly for another half an hour before taking it off again. Make sure you replace it with fresh gauze. A blood clot is essential after the wisdom teeth removal. So make sure you don’t do any strenuous activity and other things that dislodge the clot. If the clot is dislodged then you may get a dry socket. Though it occurs rarely, it is advisable to prevent from getting dry socket. Following after the surgery, stick to soft liquid diets like juices and soups. Do not use a straw; the sucking motion can dislodge the blood clot. Also, avoid hot and cold drinks. Good nutrition is essential than ever as you begin the healing process, but also make sure you don’t put your healing wound in harm’s way when eating and drinking. Prepare ahead and stock your fridge with plenty of nutritious soft foods. You can go for scrambled eggs, veg purees, and white fish. As you embark on the healing process, you should get better day by day. Some may get a mild fever and some may not. If the fever is not reduced or bleeding does not subside or continue to swell, or experiencing a throbbing pain several days after the surgery, visit your oral surgeon or dentist as early as possible. Don’t forget to take the antibiotics and other medicines prescribed by your dentist. 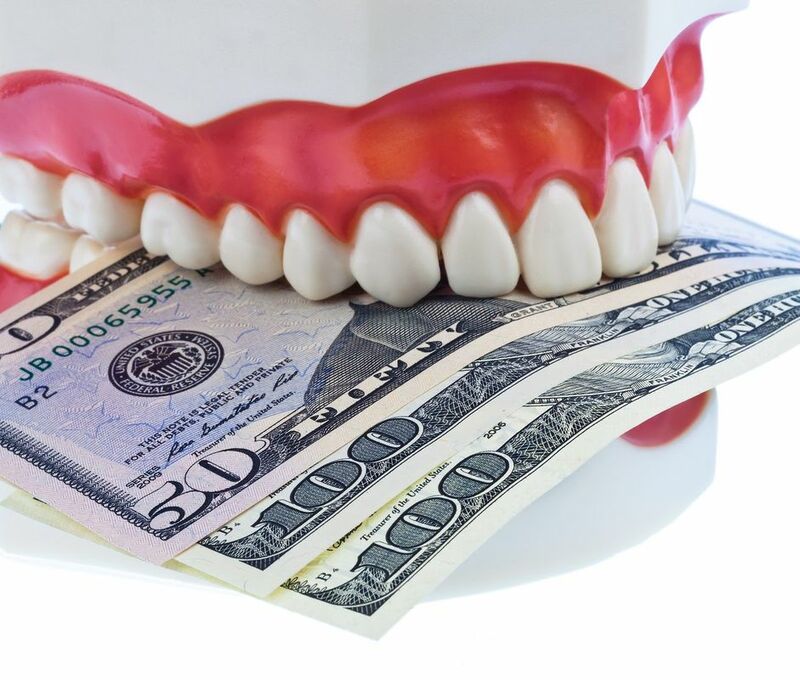 Do not worry about the cost of wisdom teeth removal Sydney. To get affordable wisdom teeth removal Sydney, you can choose payment plans and can claim the insurance. Wisdom teeth, the last set of molars, usually begin to erupt during the late teens and early twenties. When there is not enough space in the jawbone to adopt the new set of teeth, they erupt partially or never break through. A partially erupted wisdom tooth leads to pericoronitis which is the inflammation of gum tissue surrounding the tooth. When left untreated, it may lead to severe oral health complications. Thus, the dentist who offers Wisdom Teeth Removal in Sydney provides some necessary facts to know about pericoronitis. Partially erupted wisdom tooth can create a flap of gum tissue near the tooth. This can trap food leftovers and plaque leading to the inflammation of gum tissue surrounding the tooth, known as pericoronitis. It irritates the gums. When left untreated, the inflammation becomes severe and can spread to the jaw, cheeks, and the neck causing major health risks. One of the finest and permanent solutions for this problem is the extraction of partially erupted Wisdom teeth in Sydney. What are the Risks with Pericoronitis? Pericoronitis not only causes pain and irritation but also leads to a high risk of infection. This can be dangerous, when left untreated, can be life-threating. Because of this, pericoronitis is considered as such a serious oral issue. Usually, pericoronitis affects the wisdom teeth. When a tooth partially erupts, a flap is created under the gums for the food particles and plaque to accumulate. Since wisdom teeth are the final set of teeth in the mouth, it’s really difficult to reach while cleaning. Improper cleaning leads to severe infections. Thus, it’s really good to have the partially erupted Wisdom Teeth Removal in Sydney. Throbbing pain and swollen gum tissue in the areas near the affected tooth. 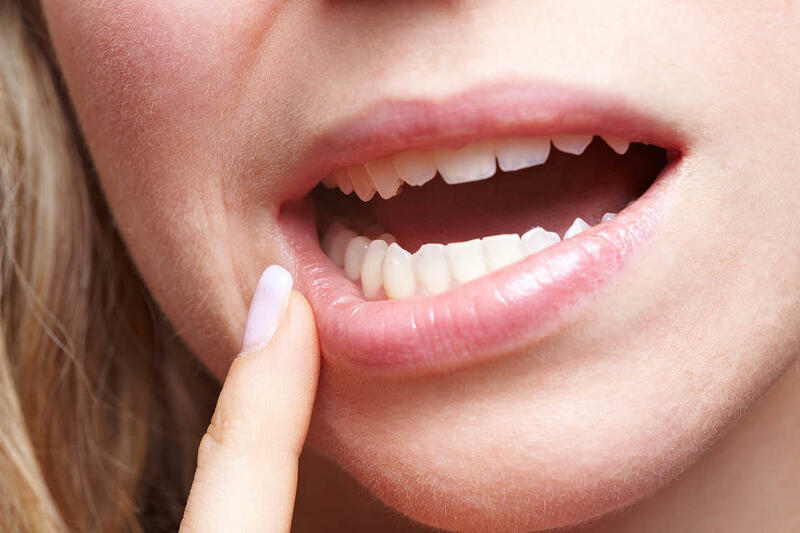 When the condition becomes worse, the pain may affect your chewing and biting ability. Discharge of pus from the gum near the affected tooth. A bad breathe and sore taste in the mouth. When you experience any of the above symptoms, make an appointment with your dentist who offers the reasonable Wisdom teeth removal cost in Sydney. He/she will examine the growth of your wisdom teeth, whether they are coming in or partially erupted. Also, periodic X-rays are taken to determine the alignment of the wisdom teeth. 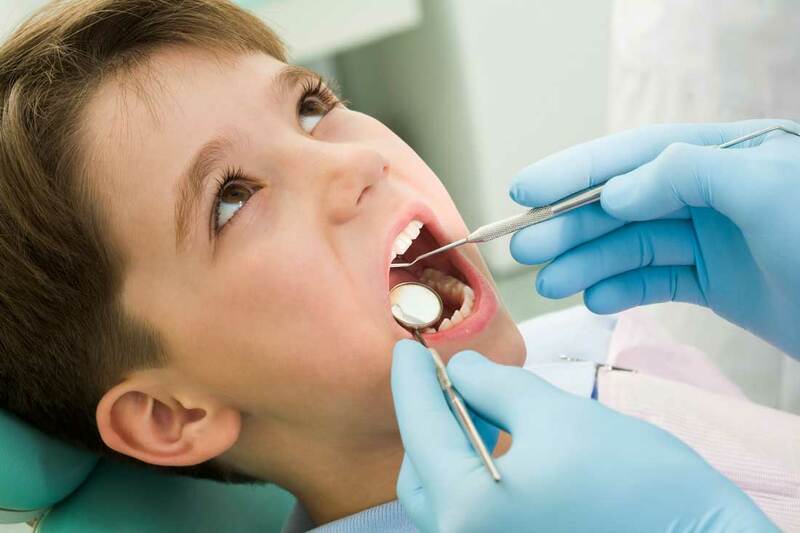 The dentist also pays attention to the symptoms such as swelling or infection. The major goal of the treatment is to eradicate the signs and symptoms causing irritation. The treatment depends on the severity of the symptoms, whether the disease is confined to the teeth and surrounding tissue, or else it has spread to neighbouring soft tissues in the mouth and neck. When the infection is severe, then, the dental professional suggests having your impacted or partially erupted wisdom teeth removed! Are you practicing good oral hygiene after wisdom teeth extraction? If you have recently removed your wisdom teeth, it is essential to maintain your oral hygiene for quick healing. The way you take care of your oral health after wisdom teeth removal can make all the difference in your recovery. 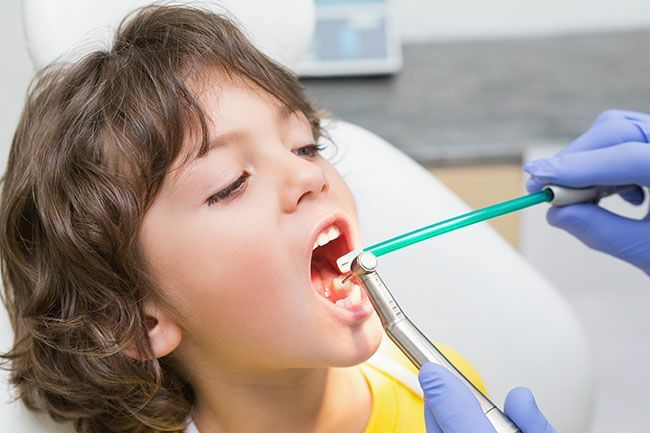 You must follow all aftercare instructions given by your oral surgeon or dentist to properly heal and prevent any risk of infection or trauma to the surgical site. What are the steps to be taken to promote healing? Here is a list of what to do to promote healing and get back on your feet after wisdom teeth removal in Sydney. Rest: Rest for at least two days after the extraction of wisdom teeth and avoid physical activity for 2 to 3 days. You should be able to resume normal activities within 48 hours after surgery. Stick to soft foods: For the first 24 hours, eat only soft foods like yogurt, juice, applesauce and pudding. Drink plenty of water and avoid alcoholic and hot beverages in the first 24 hours. 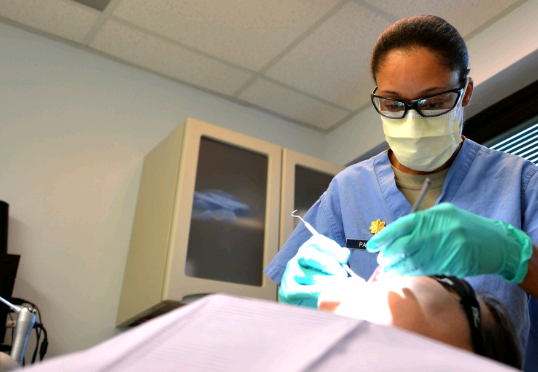 Practice good oral hygiene: Keeping the surgical area clean will help to heal as early as possible. The wisdom teeth removal cost in Sydney is affordable, and bleeding after a wisdom tooth extraction is common. Slight bleeding may be noticed for up to 24 hours after the surgery. Use the gauze and bit down with firm pressure for one hour. You can remove the gauze gently and take a sip of water to moisten the gauze if it feels stuck to the tissue. Doing so will prevent the bleeding from occurring. If you continue to have bleeding, contact your oral surgeon. 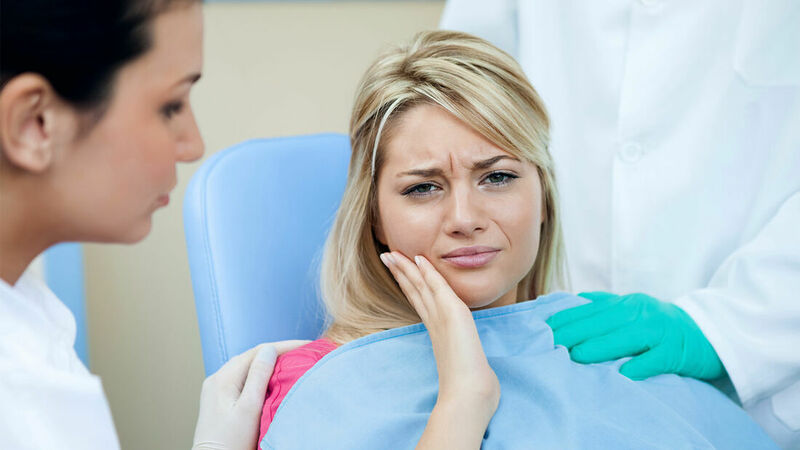 Actually, the level of pain after wisdom teeth Sydney removal depends on the complexity of the procedure. Your dentist will provide pain management medication and follow the instruction for your medication carefully. Make sure you take all the medicines as prescribed by your dentist to prevent infection. Swelling is also normal after extracting a wisdom tooth. To minimise swelling, you can apply the ice bag to the affected side of the face for a 15-minute interval. It can be repeated every 30min for the next 6 hours postoperatively. At times, you may find difficulty in opening your mouth due to the removal of impacted wisdom teeth. As the swelling subsides, a normal degree of the opening should return. Do not rinse or avoid using mouthwash for at least 24 hours after the surgery. You can rinse your mouth with warm salt water every 2-3 hours after 24 hours. Avoid rigorously rinsing your mouth because it may initiate bleeding at the surgical site. After removing your wisdom teeth, preventing dry socket is essential. 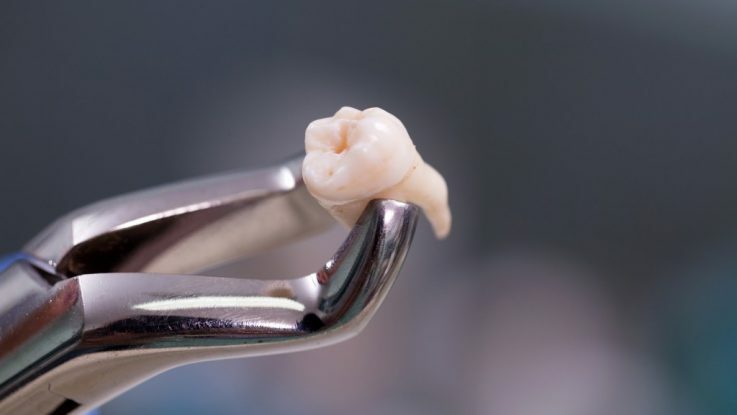 When a wisdom tooth is removed, a blood clot forms to protect the bones and nerves underneath. Dry socket occurs when the blood clot is dislodged from the surgical site, exposing the bone and nerves. It can be avoided if proper precautions are taken after tooth extraction. Why early removal of wisdom teeth is preferable? A wisdom tooth can trouble you as they grow and develop in each corner of your mouth. Even though development takes typically several years, problems often develop gradually. However, these gradual changes can cause sudden and severe pain. 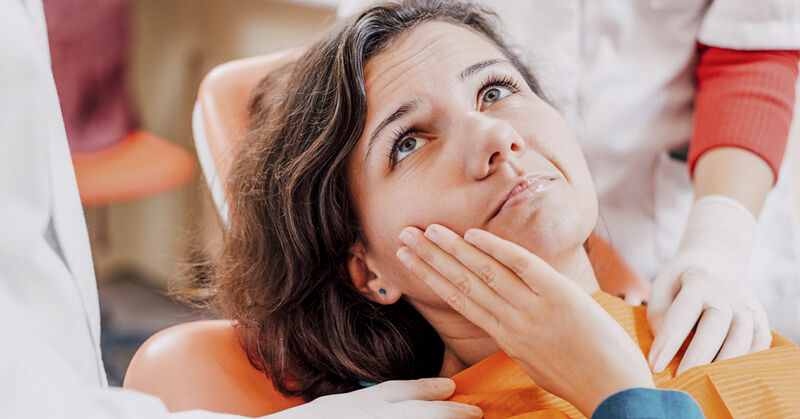 Understanding why wisdom teeth cause pain and several dental problems if left untreated can help you take preventive measures before they occur. The primary precautionary measure for wisdom teeth is removal, preferably at an early stage. The wisdom teeth removal cost in Sydney is affordable, and when you extract your wisdom teeth earlier, it can be removed easily and safely without any damages to surrounding tissue. Though there is no age limit on the extraction of wisdom teeth, as you get older, the removal of wisdom teeth becomes more complex, recovery takes time, and there is a high risk of complications. Why does a wisdom tooth hurt? The wisdom teeth also called as third molars, emerge in between the ages of 17 and 21. The jawbone grows to its adult size by your late teens. Unfortunately, the jawbone size is often too small to hold developing wisdom teeth. So, when there is not enough space in the jaw-line to accommodate these wisdom teeth, they may either become impacted or partially get trapped under the gum and jawbone. The top of the wisdom tooth may erupt or just break through the gum, or it may remain entirely within the bone. The roots of a wisdom tooth can grow in an unusual direction and may cause problems in your mouth and with your sinus cavity or the nerve in your lower jaw. 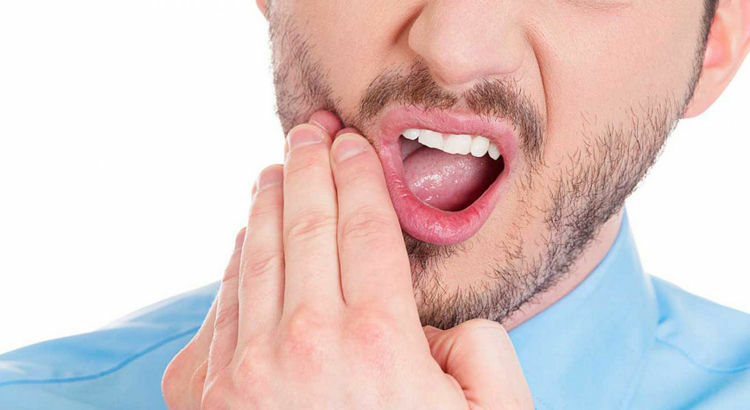 If an impacted wisdom tooth is not removed, it not only causes several dental problems but also the wisdom teeth removal cost in Sydney becomes high because it may infect other teeth roots and also causes damages to the jawbone structure which requires additional treatment. Not all wisdom teeth require extractions; some are preferred because of dental problems such as swelling, decay, and infection or as a preventive measure to avoid following potential outcomes of an impacted wisdom tooth. Infection: An impacted wisdom tooth can lead to infection because bacteria and food can be trapped under the gum tissue. The infection can cause severe pain and swelling. Crowding: impacted wisdom teeth can put pressure on the other adjacent teeth and can cause them to become misaligned. Disease: Even though uncommon, a cyst may form in the areas surrounding impacted wisdom teeth. Tooth decay: The teeth directly in front of the wisdom teeth can be affected by impacted wisdom teeth, resulting in gum disease, cavities and bone loss. 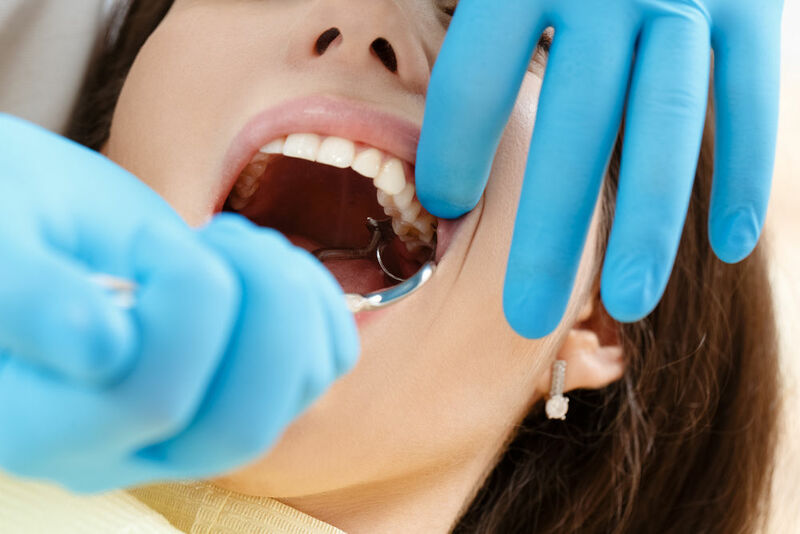 If cost is the only concern that stops you from getting dental procedures, you can look for a dental practice that provides affordable wisdom teeth removal in Sydney. Wisdom Teeth Removal Is Necessary Or Not? A wisdom tooth usually erupts in between the ages of 17 and 25. While you may believe that having extra teeth is a good thing, the emergence of wisdom teeth can cause many future dental problems. It is especially true if you had to fight for a beautiful smile through braces or other teeth alignment methods. Your dentist will track the progress of the wisdom teeth to determine if they might cause a problem in future. In this blog, we will discuss the reasons why a patient might need wisdom teeth removal Sydney. For many, wisdom teeth are unable to grow in a normal way. The erupted tooth either gets stuck under the gum or it breaks through the gum partially. Dentists call these teeth as the impacted ones. A wisdom tooth will become impacted when the jawline does not have enough space for all the teeth that are growing in or because the tooth grows in a different angle and pushes into the other nearby teeth. An impacted wisdom tooth is responsible for a host of oral health problems. If the wisdom tooth does not have enough space to erupt from the gum line, it may lead to severe infections. It can also make it hard for you to brush and floss your teeth, causing food particles to around the teeth. Another major problem associated with wisdom teeth is that they may not grow sprightly, causing the other nearby teeth to shift. To monitor the growth of your wisdom teeth, the dentist will take x-rays. With the help of an x-ray image, it is easy to track the growth of your wisdom teeth and predict their future path before they break through the gum line. 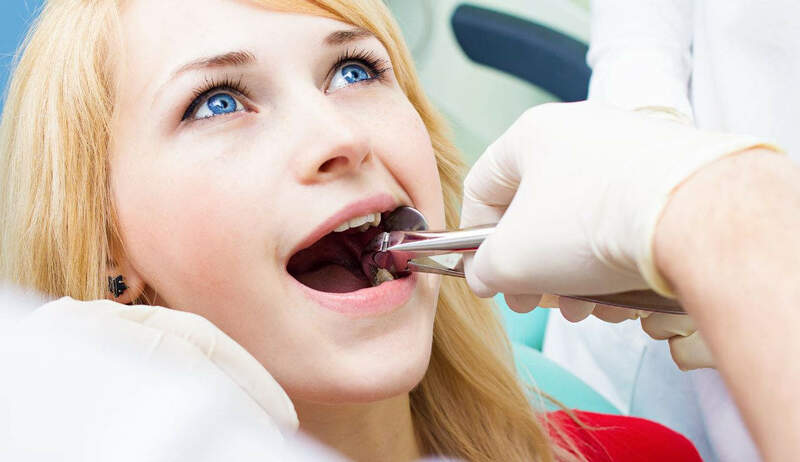 While it is your decision to have your wisdom teeth removed or not, if you identify any of the above symptoms, it is advisable to consider extracting your wisdom teeth in Sydney at the earliest before it begins to cause any problem. The wisdom teeth removal can protect smiles form crooked wisdom teeth pushing other teeth out of the way. An impacted wisdom tooth can undo several years of orthodontic work if it is not extracted. If you face any one of these symptoms such as severe pain in the jawline, bad breath, an unpleasant taste in your mouth and swelling around the jaw, then it indicates the growth of wisdom teeth. Usually, dentists will not recommend for a tooth extraction if they grew properly. But, if the wisdom tooth is impacted, wisdom teeth removal is recommended. During the dental visit, your dentist will thoroughly check your dental health before getting your wisdom teeth extracted. Based on this exam, the dentist gives you an estimated wisdom teeth removal cost in Sydney. The wisdom tooth extraction process is a standard procedure, and recovery does not take too long. Wisdom teeth are referred to as the any one of four third molars in the permanent adult teeth. Wisdom teeth often grow in sideways, crooked, or otherwise misaligned. As they grow in, they flip on another tooth, which causes problems of overcrowding and misalignment for them as well. Wisdom tooth extraction is the most common treatment for the pain and other dental problems caused by the wisdom teeth. 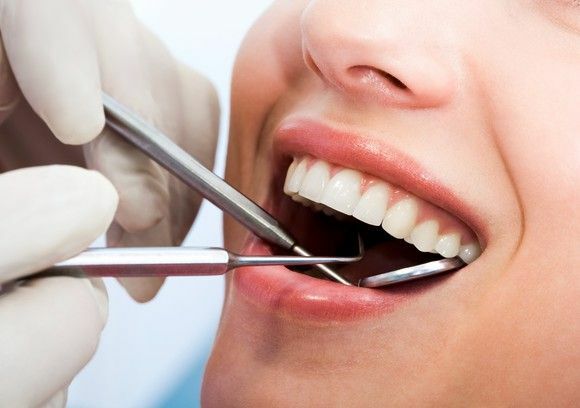 The tooth extraction process is done at a dentist office under local or general anaesthesia. If there are any complications, it will be discussed before the extraction procedure. If the wisdom tooth has already erupted through the surface of the gums, they can be removed easily. But the removal process of impacted wisdom teeth can be little complicated. Afterward, the tooth is extracted. At times, your dentist may need to cut the tooth into several pieces to salvage as much bone as possible to avoid unnecessarily cutting other bones and delicate tissues. 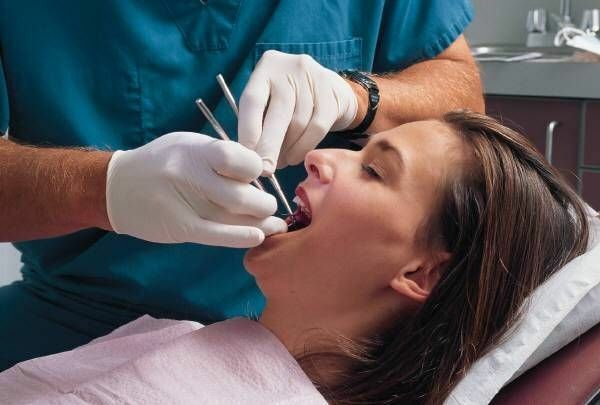 Even though the cost of dental care in Sydney is high, and most of the Australians could not afford for it, many dentists offer affordable wisdom teeth removal in Sydney to make it available for patients who avoid dentist altogether. The following are the average cost of wisdom tooth removal in Sydney and it may vary from one location to another location. Nowadays, dentists’ advice the patient’s to remove their wisdom teeth before they cause any problems to oral health. Do not ignore the dental problems caused by wisdom teeth, find the dentist and get it removed as early as possible. Wisdom tooth extraction is a common procedure and is likely to be the best solution to escape from pain and other symptoms.